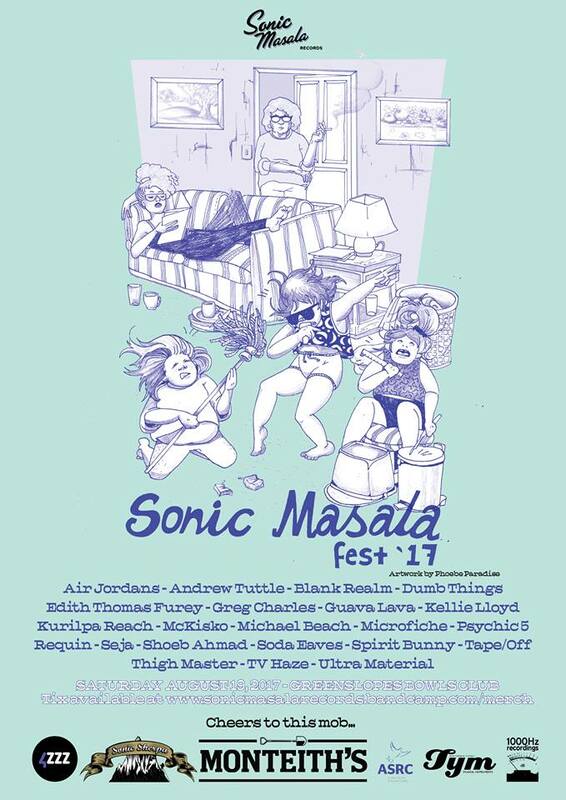 I’m delighted to be playing at Sonic Masala’s annual festival on Saturday 19th August at Club Greenslopes. SM Fest is such an amazing day and it’s great to be back playing again! Heaps of great performers (including Blank Realm, Kellie Lloyd, Seja, Spirit Bunny, Shoeb Ahmad, Tape/Off, McKisko, Thigh Master and a lot more), for not heaps of money. Presales recommended! More info here. Before that, I’m also playing a set at Brisbane Powerhouse on Sunday 6th August (this Sunday!). Free entry, 3:30pm. 45 minute set so I’ll be playing a slightly different too. More here!